Mysterious black Skull Cape, with fabric skull edges perfect to complete any spooky Halloween costume. 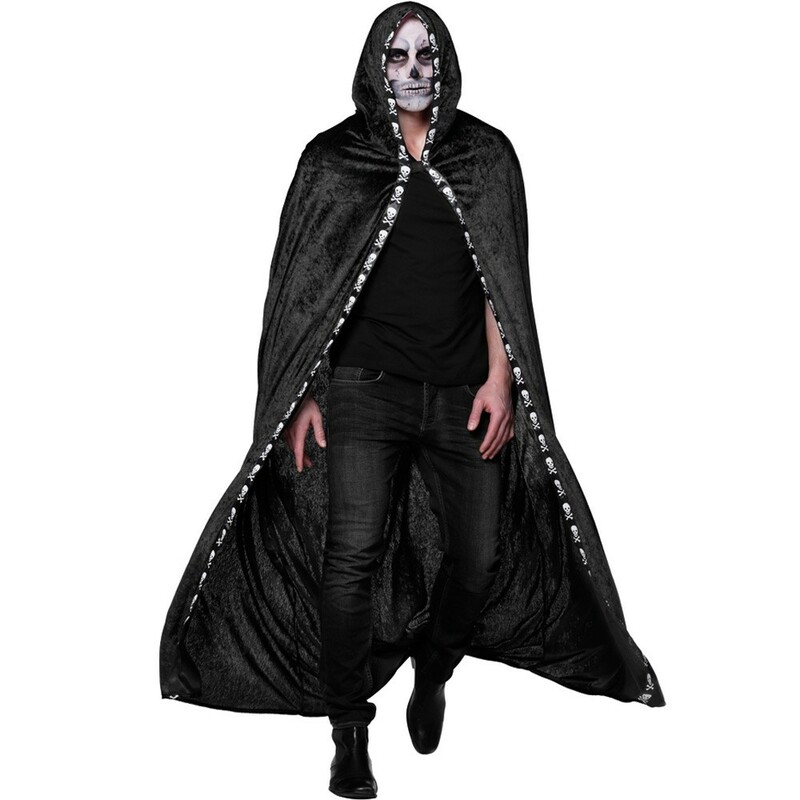 This spooky black Skull Cape will add that final eerie touch to your Halloween costume this year! This Skull Cape has a fabric edging with printed skulls and crossbones and is complete with velvet feel fabric. This impressive Skull Cape incorporates a dramatic hood. 1 x Black Skull Cape.